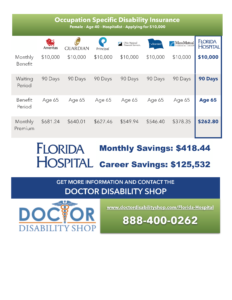 https://www.doctordisabilityshop.com/wp-content/uploads/2018/01/Monthly-Qualifying-Benefit-Amount-1-e1516719876562.png 768 1366 Nick Trawinski https://doctordshop.wpengine.com/wp-content/uploads/2016/05/logo.png Nick Trawinski2018-01-23 10:02:172018-01-23 10:03:07How Much Disability Insurance do i qualify for? We’ve been working with physicians for more than a decade and we’ve researched and studied every sort of disability insurance policy available to physicians. We’ve learned something about doctors and their understanding of disability insurance that is getting them in trouble with the policy they end up purchasing. And we wanted to take a few moments to write about it in an effort to help get the word out so that we can limit the amount of physicians who end up using their disability policies only to learn then that it doesn’t protect them the way they thought it would. Every Physician is aware that they are supposed to purchase “Own occupation” also known as “Own Specialty” disability insurance. 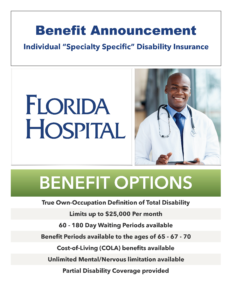 The understanding is that if you purchase a policy that an insurance provider is calling “own occupation” or “own specialty” you are getting a plan that will pay you if you suffer a disability that limits your ability to work in your specialty and will continue to pay you your FULL benefit amount should you do something else. While its true that these policies exist, what you didn’t know is that in the insurance industry “own occupation” or “own specialty” can mean up to three different things and the AMA, ACOG, ACP, ACS, AAP, etc. all know that you do not know that. Here’s why they get away with it. Technically speaking, Own Occupation coverage means that so long as the insurance carrier recognizes your specialty as your occupation and they do not force you to go an work in another occupation then it’s OK if they advertise their product as being Occupation or specialty specific. What you didn’t realize was that this does NOT mean you can go to work in another occupation and still be entitled to your full benefit or any benefit at all. It simply means they won’t force you to go to work in another occupation but they will not pay you your full benefit amount if you are earning more than 15% of your prior earned income in another occupation. Unlike some other disability plans, this plan contains a preferred definition of disability. If you are unable to perform the duties of “your own medical specialty,” benefits CAN be payable for up to the age of 65. Totally Disabled or Total Disability means: – Your COMPLETE inability to perform the substantial and material duties of your Current Occupation, AND you ARE NOT ENGAGED IN ANY OTHER OCCUPATION. That definitely doesn’t sound like the “Own Occupation/Own Specialty” coverage you’ve heard about and it definitely doesn’t sound like what the AMA advertises to you on their website. Don’t end up making the same mistakes that thousands of other physicians make simply because they are misinformed. As of today True “own occupation/Own specialty” disability insurance can only be purchased individually and it can only be purchased through the following insurance carriers: Guardian, Ameritas, Principal, The Standard, Ohio National, and Mass Mutual. Total Disability or Totally Disabled: means that, solely due to injury or sickness, you are not able to perform the material and substantial duties of Your Occupation. You will be Totally Disabled even if you are Gainfully Employed in another occupation. 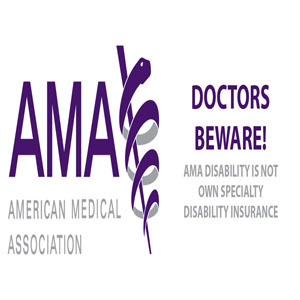 Its a big difference and we want to see doctors stop getting the wrong plan simply because of how cheap and easy it is to obtain coverage through the AMA. Call us at 888-400-0262 for more information. As a doctor, you don’t like to think about the possibility that you could ever be disabled, or even lose the ability to work in your chosen specialty. But to work as a doctor is to see this happen every day in the lives of other people. If an accident or illness were to happen to you, would your disability insurance protect you and your family? Which disability insurance riders are best for you? Disability insurance riders can modify your existing policy to increase or decrease your premiums and benefits. For instance, including a rider called the Cost of Living Adjustment (COLA) Rider. COLA increases your disability benefit annually once disabled to help keep up with rising inflation. You have two Cost of Living Adjustment (COLA) options to choose from: compounded or simple interest. Policies with this rider help prevent inflation from taking a bite out of your disability income. Another great rider is the Future Increase Option (FIO). 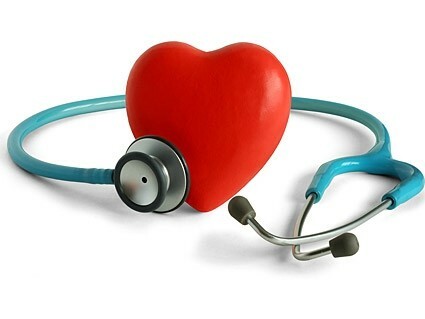 It guarantees your future medical insurability as your income increases. It is also available if you lose employer-provided group disability. With some carriers FIO guarantees rate structure, occupational class, and policy definitions of your original contract. Rates are based on attained age. Disability insurance for doctors can be confusing. It’s sometimes tough to decipher exactly what’s covered in a policy, and what isn’t. Some doctors discover too late that the disability policy they had been relying on didn’t offer the protections they imagined. Don’t be one of them! 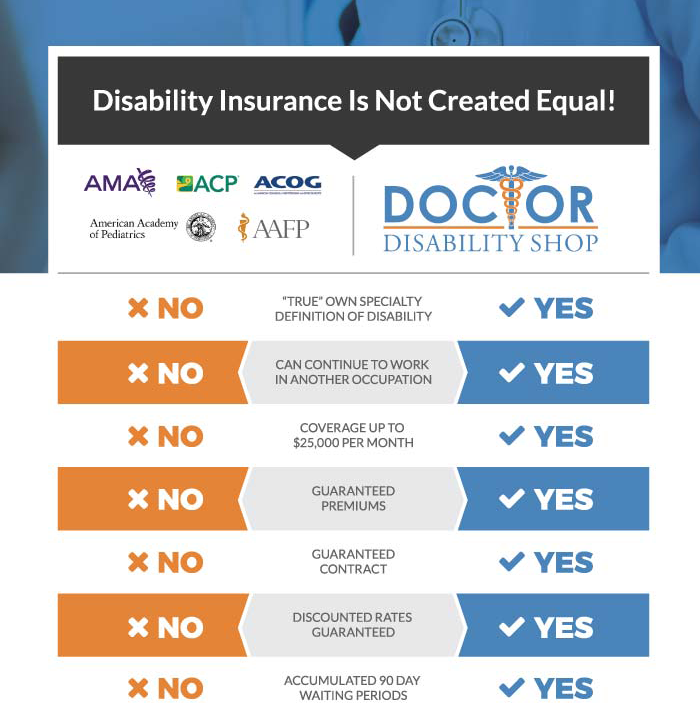 We can help you find a true “own specialty” disability policy that protects your income and your freedom of choice. Why let a restrictive disability policy dictate whether or not you can work — especially when there are much better options available? Let us show you what true “own specialty” disability policies and available riders are available for you. 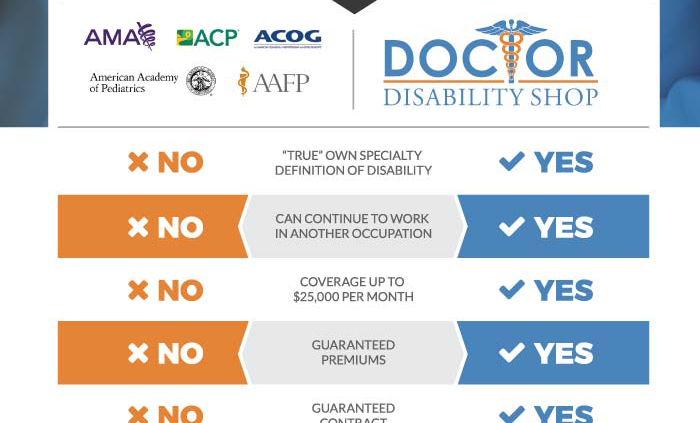 We think you’ll agree that true “own specialty” disability insurance is the way to go. Disability Insurance is an important way to protect yourself and your family from going into an economic crisis in the event that you become disabled or ill. 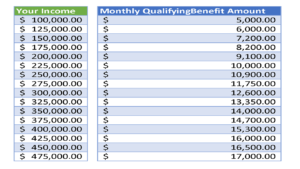 These insurance programs pay out a cash benefit while you are unable to work. However, if you are concerned about your ability to get back on your feet after you return to work, you may be interested in looking at a recovery benefit rider with your disability insurance. This will allow you to continue collecting a cash benefit while progressing through your recovery, even after you have returned to work. Whether you’re a pediatrician, dentist, or a plastic surgeon, disability insurance including recovery benefits is a great option to consider. It’s important to realize that it can take some time to rebuild your earnings after you’ve returned to work full-time following an accident, illness, or injury. That’s why it’s good to look for recovery options that will continue to pay your partial monthly benefit amount while you rebuild your income and your ability to work. Recovery benefits are considered a residual disability benefit that is paid following a period of total disability. The employee will have returned to work on a full-time basis, but they may still be experiencing a loss of income as a direct result of the illness or debilitating injury. It is important to fully understand the benefit period that is available for recovery benefits, as having the least restrictive benefit will be essential in ensuring that your income is adequately protected. If you are self-employed, consider the impact of closing your business for several months while you recover from an accident or illness. Even after you reopen your business on a full-time basis, your profitability is likely to have been reduced greatly. This loss of income after your period of total disability can continue on for months or years, and it may never return to the level that you experienced before your disability. 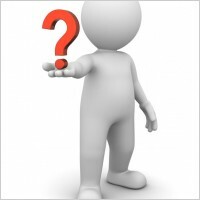 What is the Difference Between Total and Partial Disability? Another important distinction to consider with recovery benefits is the difference between total and partial disability. Total disability refers to the inability to perform at least one of the material and substantial duties of your specialty, while partial, or residual, disability means that you are only able to work in a reduced capacity but still able to perform all the material and substantial duties of your specialty. This can lead to working partial days and only bringing in partial earnings. Investing in disability insurance with residual benefits is a great way to protect yourself and your family. If you are interested in discussing these options and how they might be able to benefit you, contact your physician insurance agency today. https://www.doctordisabilityshop.com/wp-content/uploads/2014/04/3d_villain_with_a_question_mark_highdefinition_picture_2_165584.jpg 200 200 admin https://doctordshop.wpengine.com/wp-content/uploads/2016/05/logo.png admin2014-04-29 16:51:392017-06-20 02:04:09Are There Recovery Benefits with Disability Insurance? 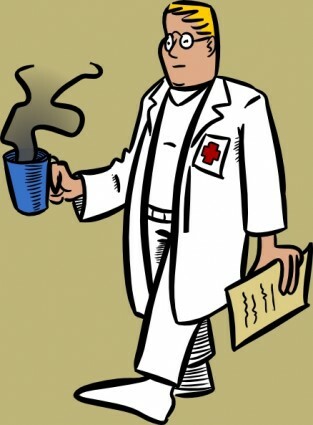 Traditionally, physicians are a financially conservative group. They ensure that life and health insurance are securely in place, manage investments wisely and plan for a golden retirement. However, more often than not, they may unwittingly put themselves in harm’s way by overlooking or under-planning for the ramifications of a disabling illness or injury. What if you could no longer perform surgery? What if your eyesight started to fade or you were confined to a wheelchair? Statistics show that 1 out of every 3 people will be disabled for 90 days or longer and one year of disability could wipe out 10 years of savings. Disability doesn’t just happen to “Other” people. A disability is simply defined as a sickness or injury that interferes with your ability to work. Purchasing good individual disability coverage is important in protecting your most valuable asset, your ability to practice medicine and earn an income. You want to have contracts that can never be changed or premiums that can never be increased. The definition of a good contract will read; if you can not perform the material and substantial duties of your specialty, benefits will be paid. With good disability insurance contracts if you couldn’t perform your specialty because of an injury or sickness and you engaged in any another occupation you would still receive your monthly benefit. Even if you were making a higher income in your new occupation, you would still receive your monthly disability benefit. Most good disability contracts will have extra policy riders you can purchase. Riders that would allow you to increase your coverage later in life regardless of your health. A residual rider that would pay benefits in the most realistic claim scenario of being partially disabled but still working in your own occupation. A cost of living rider ensures that if you were to go on claim your benefit would increase every year to keep pace with inflation. 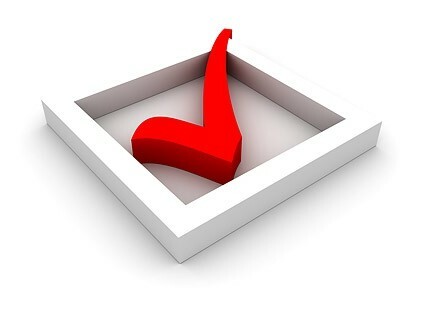 Don’t rely on Social Security, group coverage or your professional association’s coverage. Many group policies are structured with loopholes and nit picking provisions. To qualify for Social Security, you must be completely disabled with no hope of recovery for a period of at least one year, or have a disability expected to end in death. You must also be unable to do any kind of work, not just your job. The majority of people who apply for Social Security disability are denied. Group coverage and professional association coverages may protect your “Own Occupation or Specialty” but only for 2 or 5 years. After 2 or 5 years your policy definition will switch to any occupation based on your education, training and experience. If the insurance company feels you can do some sort of reasonable occupation based on education, training or experience, benefits will cease. Other group and association coverage’s read that if you can not perform the material and substantial duties of your regular occupation and you are not engaged or performing any occupation for wage, remuneration or profit benefits will be paid. Insurance companies know from claims statistics that most claims involve partial disability where individuals are still working in their own occupation or in another occupation. In both group contracts and association contracts your benefits would be limited. Premiums also generally increase every 5 years with association coverage. Most individual disability contracts in New Jersey can be purchased at discounted rates of 15%-50%. This could mean thousands of dollars in savings over the course of your career. In one example we were able to save a physician over $220,000 in premiums over her career. It is very important that you work with a professional who works primarily with physicians and disability insurance. Someone who can show you comparisons of all the insurance companies that write disability insurance for physicians.